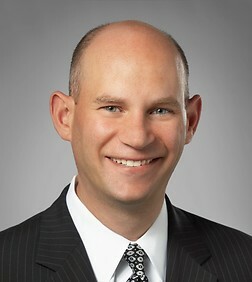 Tony Toranto is a partner in the Real Estate, Corporate and Finance Practice Groups in the firm's San Diego (Del Mar) and San Francisco offices. He is Team Leader of the firm's Energy, Infrastructure and Project Finance industry team. Tony Toranto is a nationally recognized finance and commercial lawyer with three areas of concentration: corporate, real estate, and energy transactions. Mr. Toranto is a JD/MBA who started his career as a client in private equity, and he brings that commercial understanding to every deal. Mr. Toranto is the Chair of the firm’s Energy, Infrastructure and Project Finance Team, including the firm’s preeminent renewable energy practice. He regularly advises clients on conventional and renewable projects, including some of the largest energy projects in the industry. Mr. Toranto is recognized as a leading transactional attorney, not only in California but nationally. He regularly counsels clients on a wide range of corporate and transactional matters, including advising sponsors, creditors and investors on capital, acquisition, disposition, development, financing and leasing transactions. He has advised sponsors, borrowers, lenders, investors, guarantors and other clients on hundreds of transactions totaling billions of dollars. Representation of pension fund lender in connection with $1.2 billion loan for one of the largest private real estate development projects in the US. Negotiation of real estate, acquisition, joint venture agreements, mezzanine loans and secured construction financing for over $1 billion of condominium projects in San Francisco, California. Representation of investor in connection with acquisition, development and financing of major coffee farm in Kona, Hawaii. Negotiation of a complex joint venture agreement on behalf of a developer with a landowner for a mixed-use project with approximately 120 residential units in Northern California. Representation of a developer in connection with the development of a shopping center in Northern California, including negotiating the purchase agreement for the overall site, as well as purchase agreements and leases with national retailers for outparcels or space within the center. Representation of lender in connection with an approximately $90 million loan on a redevelopment project in Southern California, including a deferred equity agreement and affordable housing. Representation of lender in connection with a $50 million construction loan for a build-to-suit office project in Southern California. Representation of lender in connection with a $100 million secured line of credit. Representation of lender in connection with a $64 million industrial build-to-suit in Nevada. Representation of lender in a $60 million financing in connection with a portfolio of cross-collateralized income properties. Representation of a national retailer in lease negotiations. Negotiation of loan documents on behalf of a borrower for an $89 million construction loan to build a 290,000-square-foot retail power center. Representation of borrower in the workout of approximately $30 million in loans from multiple lenders in connection with a large condominium project in Northern California. Representation of a shopping center owner in lease negotiations with anchor and inline tenants. Representation of buyer in connection with the negotiation of a hotel purchase and sale agreement, together with related agreements involving non-compete issues, subdivision issues, and future development rights. Drafting form loan documents for multiple lenders with varying needs, including conventional banks, life insurance companies, bridge lenders, and hard money lenders. Representation of large financial institution as outside general counsel. Advise major venture capital firm on re-structuring a portfolio of biotech investments. Advise multiple biotech companies on spinoff transactions. Advise large family-owned investment company on dissolution and distribution of portfolio. Representation of various companies and funds in connection with private placements. Representation of energy developer in connection with real estate and financing issues for an approximately $700 million power plant. Representation of sponsor in connection with real estate and financing issues for an approx. $1 billion power plant. National representation of renewable energy developer in acquisition of over 20 utility-scale power plant sites. Advised renewable energy developer in US energy regulatory and tax related matters in connection with its European IPO. Advised renewable developer in connection with site acquisition issues, power purchase agreement negotiations, and financing matters. Representation of renewable energy investor in acquisition, title matters, and project finance involving $220 million renewable energy project. Representation of lender in development and deployment solar project debt financing program, including representation in connection with dozens of loans totaling billions of dollars. Representation of renewable energy developer in real estate and finance matters for a $285 million renewable energy project. Representation of project host in connection with largest single roof top solar project in the U.S. Representation of developer in connection with power purchase agreement, siting and financing issues for multiple renewable energy projects hosted on government facilities.